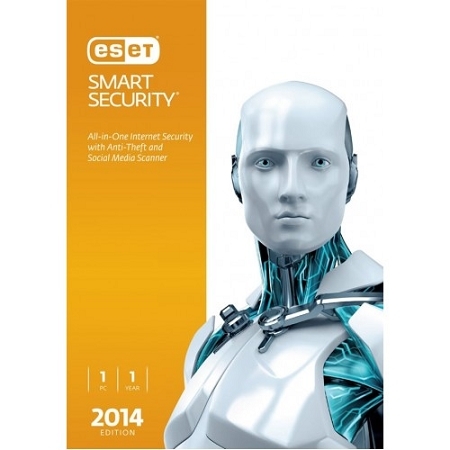 Enjoy your time online ESET Smart Security protects you and your laptop. Connect securely on social networks, browse the Internet or just play online. Antivirus Antispyware Anti-Theft Anti-Phishing Personal Firewall Antispam Exploit Blocker Parental Control Social Media Scanner Gamer Mode Advanced Memory Scanner Vulnerability Shield Portable Device Control Cybersecurity Training A Great time online for you and your family! A safer online experience begins with our proven Antivirus and Antispyware. Cloud-Powered Scanning enables faster, more accurate malware detection. New anti-malware advanced technology protects you against threats that used to avoid detection—as well as browser and application exploits. Free Trial Free 30-days, No commitment ESET HELPS TRACK AND LOCATE YOUR MISSING LAPTOP If you lose your device, don't lose your head. There is hope. Through our Anti-Theft online interface, you can start searching for your device immediately. Activate Anti-Theft Track its location, view webcam snapshots and send a message to the screen. All these options help you reunite with your device. Your social networking made safer on Facebook and Twitter Stay protected while using social media. Decide which information is visible to public, and make changes to your profile you see fit. Learn More On Facebook, protect your and your friends' timeline messages and newsfeed against malware. On Twitter, protect your profile, posts and those you follow against malicious links. Keeping your family safe Identity Theft Protection Keep your private data safe from hackers with Personal Firewall. Prevent unwanted data copying to external devices with our Portable Device Control. Keep Kids Safe Online Show them only the safe side of the Internet. With Parental Control, block over 20 website categories or add your own. Surf the web with confidence Protect against attempts by fake websites to steal your personal information, shopping passwords and banking details with Anti-Phishing. Download full list of features Tips for staying safe online Complimentary ESET Cybersecurity Training provides tips on how to defend against cyber threats, scams and hackers.